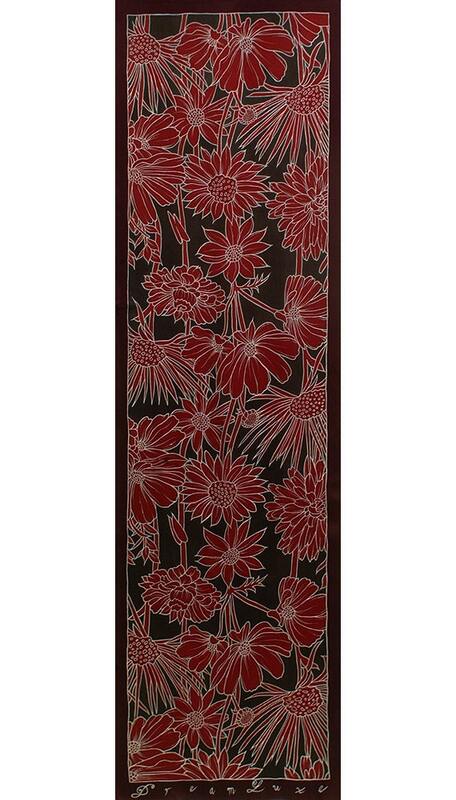 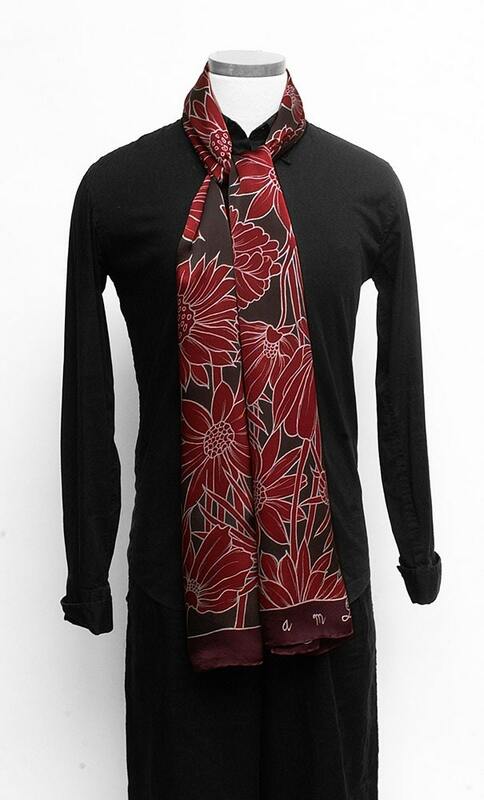 Hand painted silk scarf with burgundy flowers. 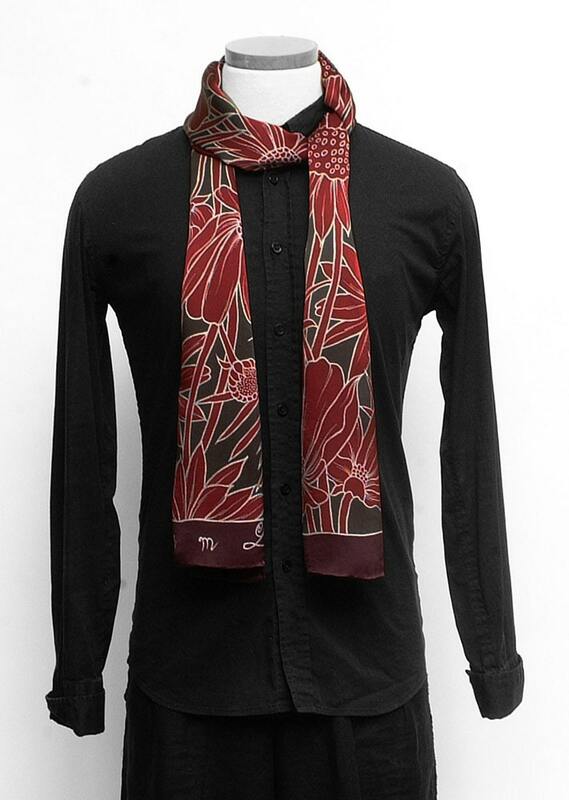 Awesome mens handmade silk scarf with cool flowers painted with a dark burgundy and brown background. 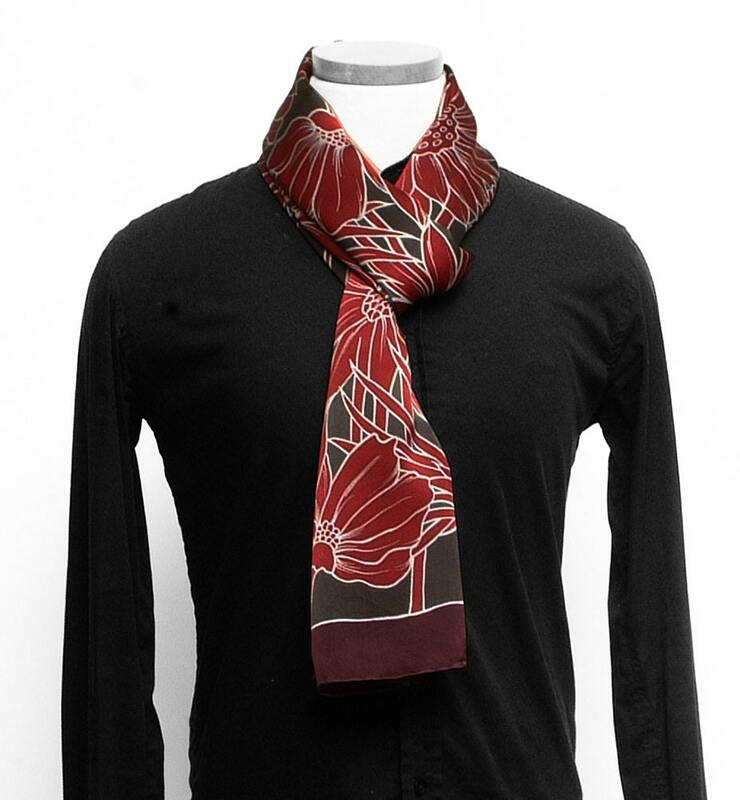 These dark colors are perfect for any man or women outfit whether it be dressy or casual. 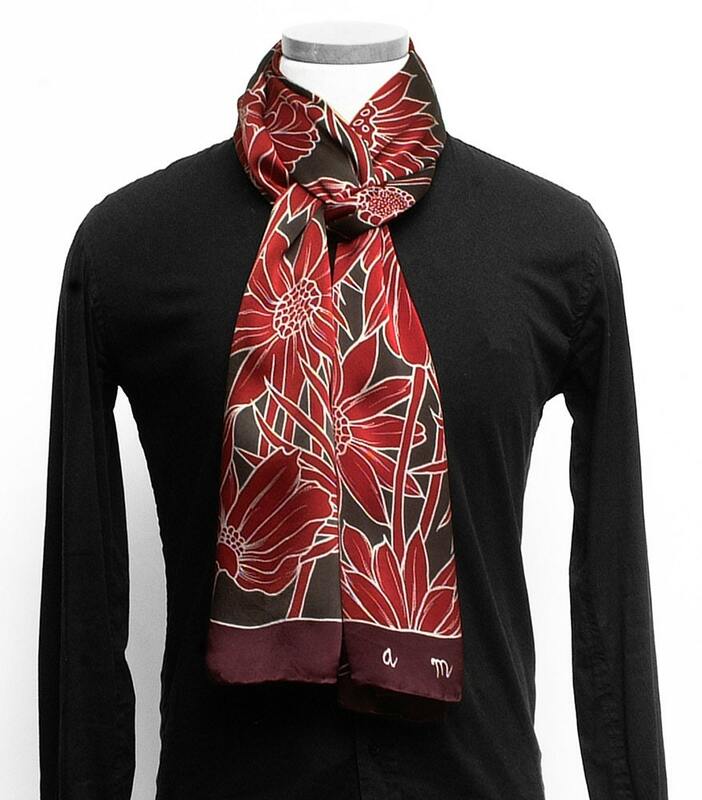 This makes a wonderful unforgettable one of a kind gift for any occasion.